Last February 24, 2018, I wrote a blog on How to Become a Silver Executive? 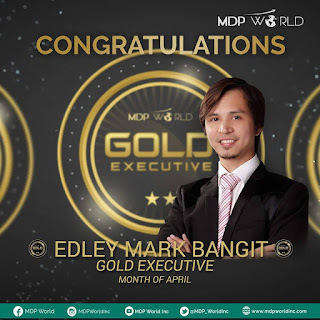 and I mentioned in that article that my goal is to become a Gold Executive as soon as possible, by simply helping 3 of my direct downlines to achieve their Silver Executive rank. 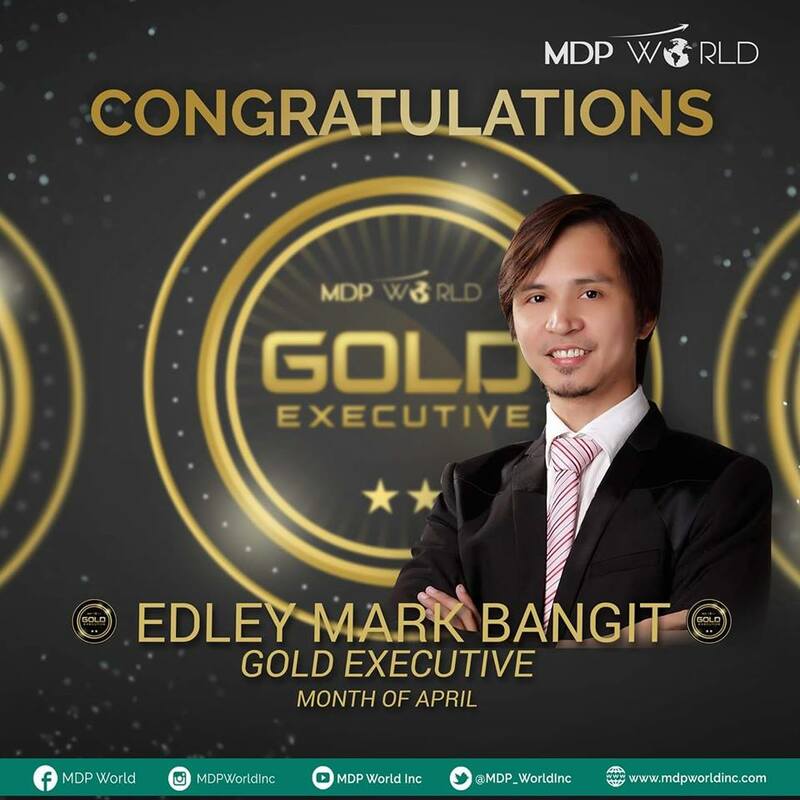 After 2 months, I am proud and honored to become one of the first Gold Executive of MDP World, Inc.. The rule is very simple, to become a Gold Executive, you just help 3 of your downlines achieve their Silver Executive rank. It can be your indirect downline as long as they are from 3 different lines based on unilevel genealogy. 1. You will get a plaque, a pin and a travel incentive. 2. You will get a 5 share on our Global Pool sharing. This is lifetime, it's like having a pension plan for the rest of your life.